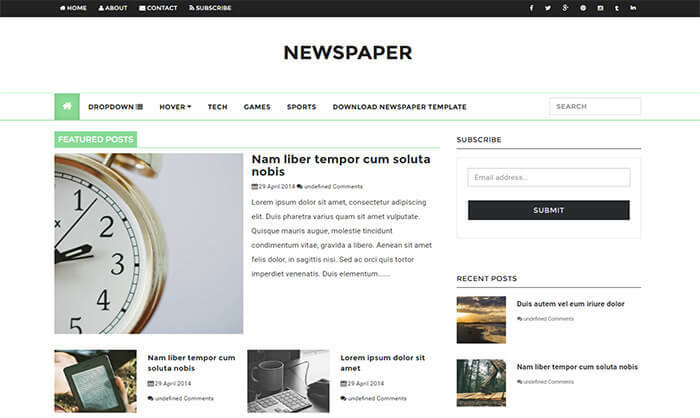 Newspaper Blogger Template is ideal theme for Magazine, Personal, News, Social and Viral Websites. If you’re going to create one professional viral news website then this is one of the best and ideal theme for your site because it comes with many advanced features. It has mega drop down menu that you can use to link your tags or most popular pages of your site. It also has simple and clean design that attract your readers and they will be able to find their desired content on your website within just few seconds as well as it will make your website super fast loading and in result you gain higher rankings.